We are offering an opportunity to purchase our Custom Made Cards from the Custom Card Store. 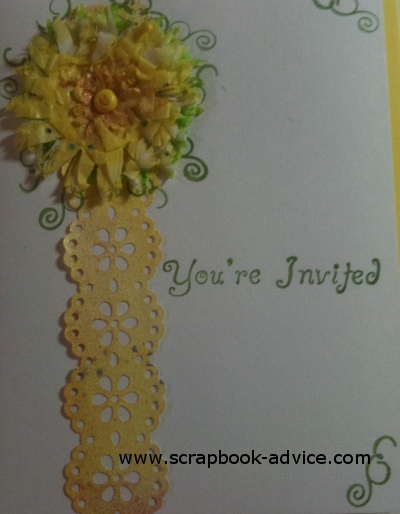 We are showing some examples of our "Lace Floral Cards" which are currently available in a number of colors to use for invitations to match your party theme, Baby Shower, Birthday, Retirement, Get Well, Anniversary, Wedding or just for Note Cards in your favorite colors. Below are some examples of our Roses, Mums and Pansies, pictured below in Pinks, Yellows & Oranges, and Purples. Please remember all these are hand made and each will be a little different. The flowers will be different sizes and colors. Some cards will have one, two or three flowers. But, you can specify what you want. 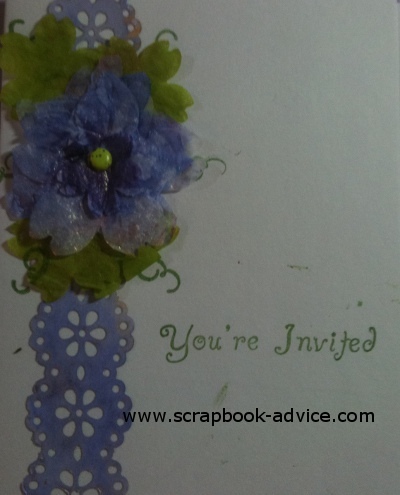 Inks used for the greeting on the front of the card can be your choice as well, but we suggest something to go with the lace and flowers. 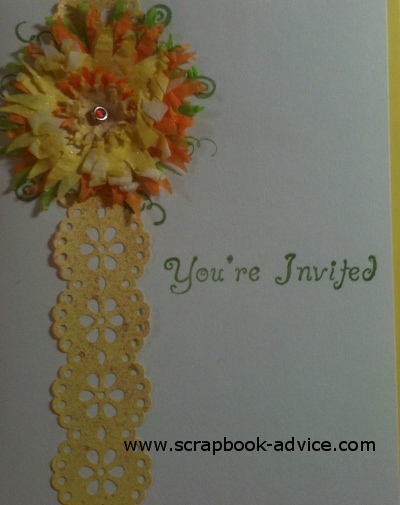 Cardstock can be white, pastel, jewel tones, or just about any color that we can find. The Lace and Flowers will be hand dyed, and will usually use 2 or 3 colors, often with metallic or mica type glitter or sheen. 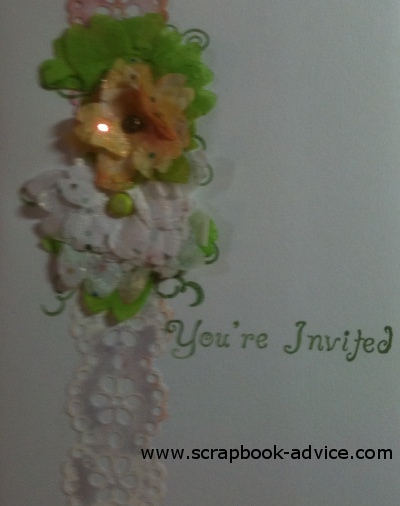 Envelopes can be white or your choice of a number of colors all available at Paper Source or you can provide your own. You get to pick what you want. I can make some samples for you and email them to you. When you approve, send us 1/2 the price to begin the project via our Pay Pal Account and send us the other 1/2 when they are complete and ready to be mailed to you. This will allow you to use your credit card. Cards will be sold in packs of five. Below you will see what appear to be duplicates, but as I said earlier, the are all a little different. These next 2 below are our Yellow Roses and Pansies. These next 2 below are our Yellow Mums. 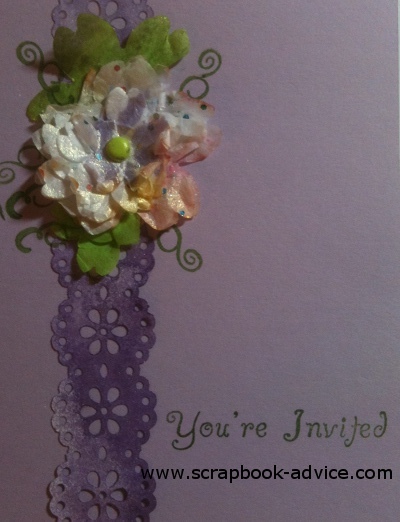 This next one below is our Purple Pansy on Purple Cardstock. The tissue in the flower has glitter. This next Pansy is varigated on Purple Cardstock. 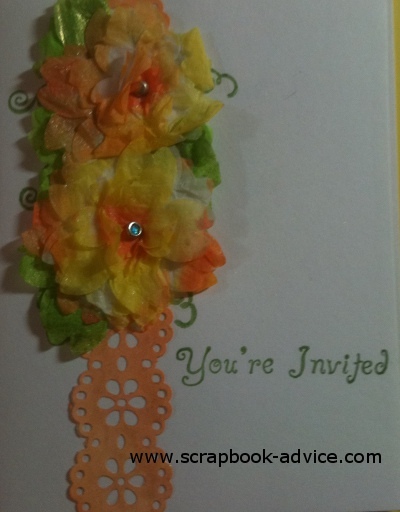 This next card has a Yellow/Orange and White Pansy Flower. 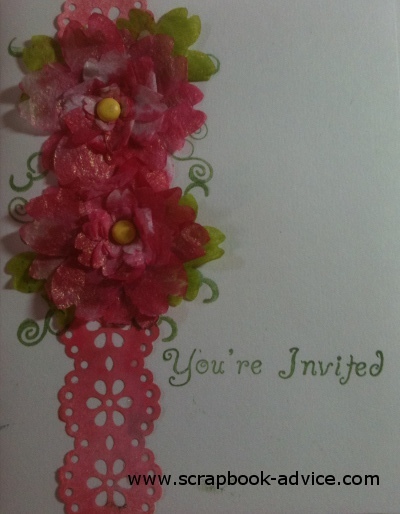 The lace has White Pearl and the tissue for the flower has glitter. 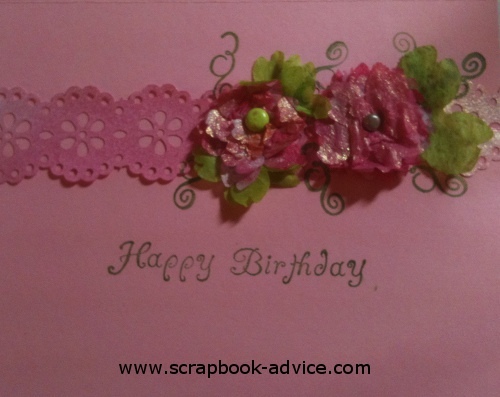 This last card in the Custom Card Store Floral Lace Collection is a Birthday Card, turned to open from the bottom with Pink Flowers on Pink Cardstock and envelope to match. 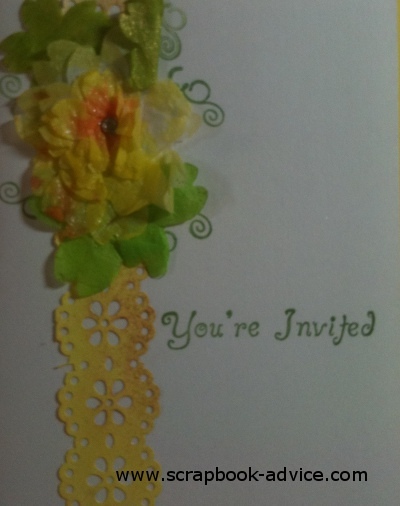 Contact us for pricing and design information from the Custom Card Store at Contact Us. Pricing will depend on the number of flowers, they type and color of cardstock and envelopes, but will start at about $4.00 each. 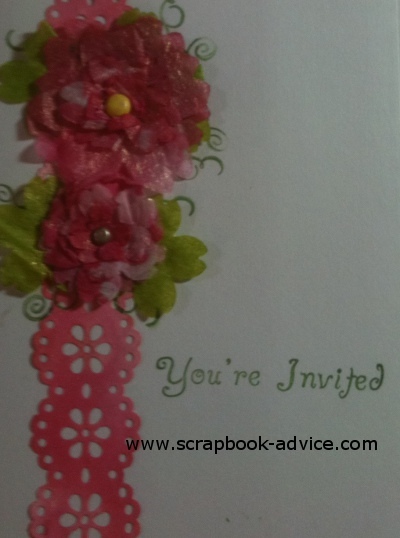 For other ideas on Card Making and using up your Scrapbook Scraps, see some of the links below.